What is a Virginia Quit Claim Deed? 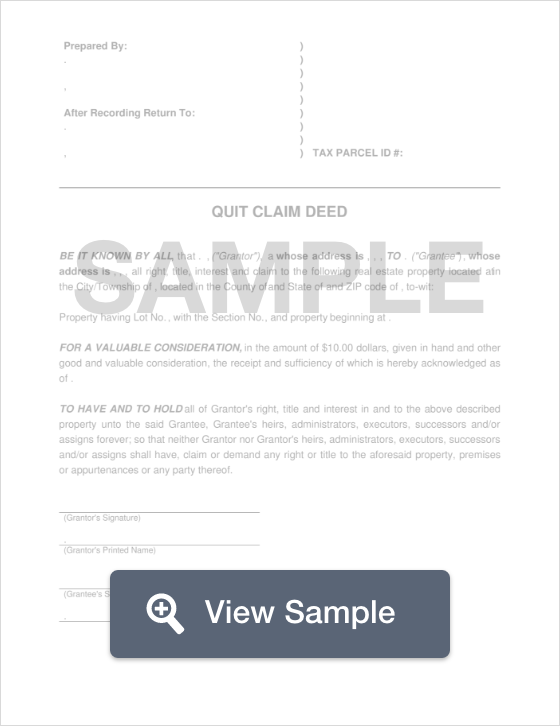 Virginia Quit Claim Deed: What Is It? A Virginia quit claim deed is a legal document that allows a person to release the ownership interest of their property to someone else. Type of property transfer is often conducted between family members or divorcing spouses due to the fact that it comes with no warranty or guarantee that the property is being transferred without a warranty or guarantee that there are no encumbrances on the title. Regardless of the closeness in relationship, a buyer should always conduct a title search on the property before proceeding with a transfer. In Virginia, all quit claim deeds must state the names of the buyer and the seller of the property in the first sentence of the deed in all capital letters. Once the quit claim deed has been properly filled out, the Grantor (the selling party) has a choice; he or she may either sign the document in the presence of two witnesses or have it notarized by a Notary Public (§ 55-106). Once the document has been witnessed or notarized, it must be filed with the Clerk of the Circuit Court in the county in which it is located.